Team member access is included with every status page. 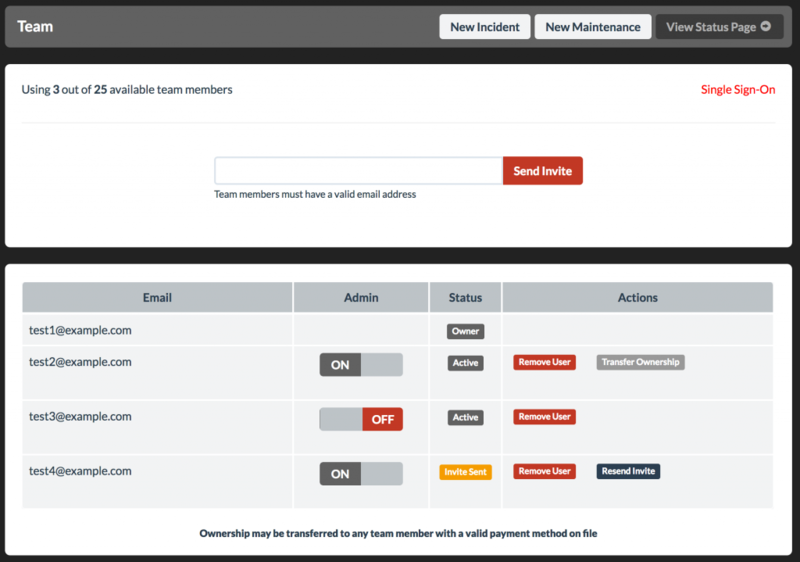 Each team member account has permissions based on their role. Each team member is given Admin permissions by default. Simply toggle the Admin switch to OFF for limited team members.